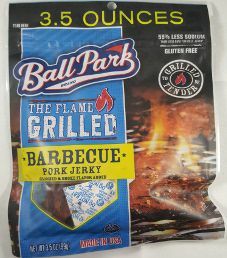 The first review on Ball Park will focus on a 3.5 ounce/99 gram bag of their barbecue flavored pork jerky. 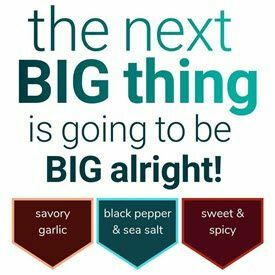 This flavor is described has having rich smoke and select seasonings to bring a traditional BBQ-pit flavor to their tender pork. The bag was purchased at a ShopRite store in Lyndhurst, New Jersey.